The world of work is undergoing major changes that will continue, and potentially intensify, in the future. 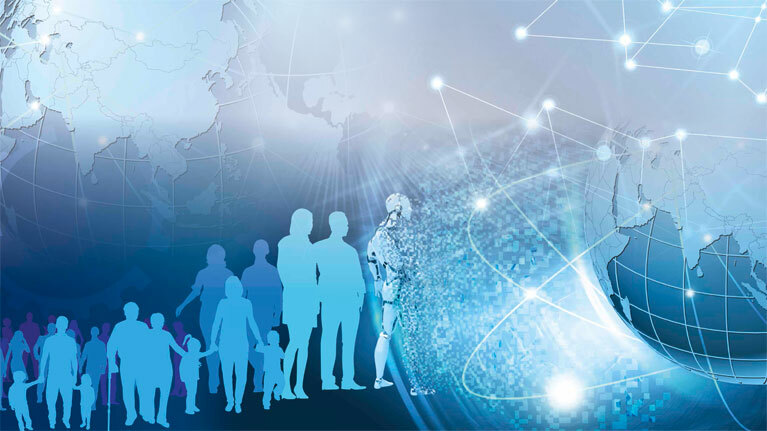 To better understand and in order to respond effectively to these new challenges, the ILO has launched a “Future of Work initiative” and proposed four “centenary conversations” for debates in the years leading up to its centenary anniversary in 2019: (i) work and society; (ii) decent work for all; (iii) the organization of work and production; and (iv) the governance of work. This Issue Note Series intends to provide an overview of key trends and issues in selected thematic areas of particular relevance to the “conversations” with a view to informing and facilitating dialogue and debates at the national, regional and global levels. This note analyses the effects of technological changes on the quantity and quality of jobs and discusses policy challenges in developing a skilled workforce, avoiding job polarization and assuring equal distribution of productivity gains. This note details key demographic dynamics already impacting the future of work as well as two significant trends in the labour market – unpaid work and labour migration – that create global policy opportunities in light of those demographic changes. This note discusses the evolution of the employment relationship, the stresses posed by the changing organization of work, the prognosis for fundamental alteration of the relationship, and regulatory challenges in providing adequate protection to workers in evolving employment relationships. This note discusses the role of the social contract between the state and other actors in defining mutual expectations for distributing power and resources to achieve social justice, the erosion of that contract as result of rising inequality and other developments in the world of work, as well as policy challenges in renewing the social contract. This note looks at the ways in which cooperatives respond to technological, demographic, economic and environmental changes that are taking place within the world of work.